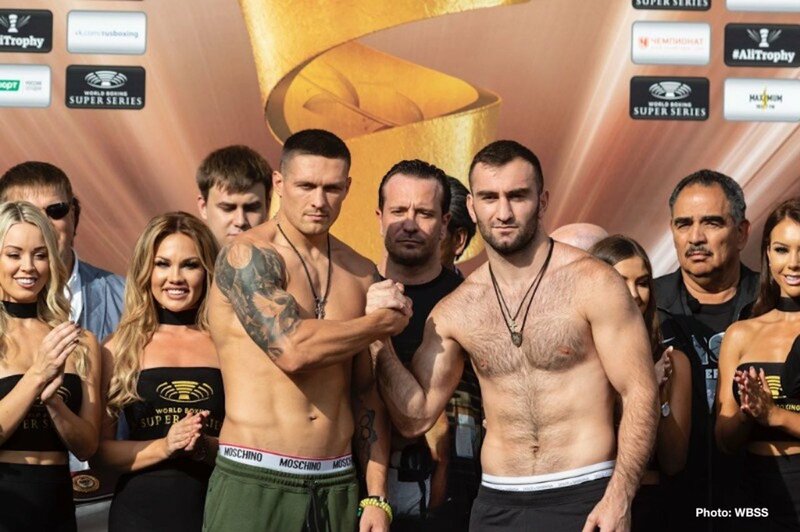 The night after the World Boxing Super Series Season 2 Draft Gala, Oleksandr Usyk takes on Murat Gassiev in the finals to wrap up Season 1 of the cruiserweight division. It’s a clash of styles to say the least, Usyk the more skilled and better overall boxer compared to an improving yet still raw, powerful pressure fighter in Gassiev. As we’ve seen time and time again one punch can end or drastically change momentum in a fight. The broadcast from Russia will be available on Klowd.TV streaming live for those wondering in the states. Oleksandr Usyk is about as talented of a 200-pounder as you can find and his transition from the amateur to the pros has been seamless. 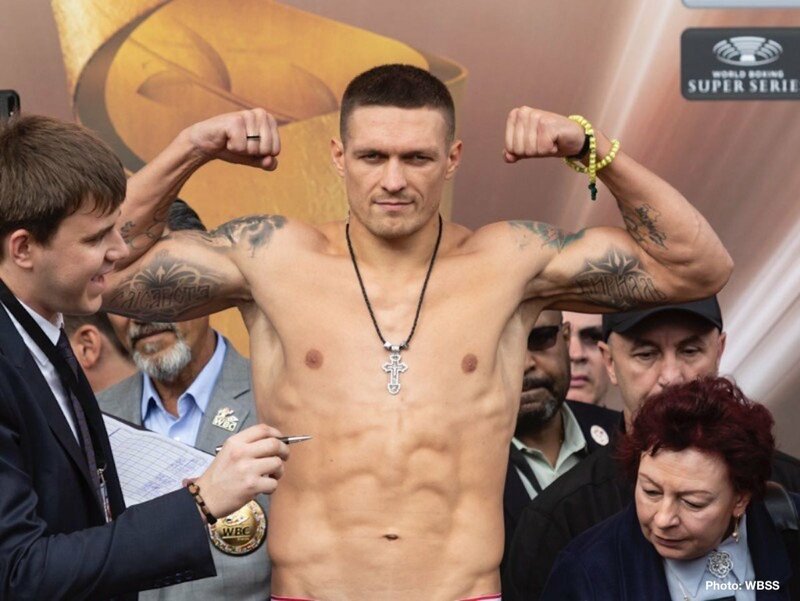 On a fast track early, Usyk has settled in as a pro having faced the likes of Krzysztof Glowacki and Mairis Briedis, both undefeated at the time. The only knock on Usyk was an unwillingness to engage on the inside, instead settling for a clear victory using his brain as he did against Glowacki. Usyk’s crisp jab, good work rate, and movement proved too much for Glowacki and to a lesser extent Briedis. Usyk did attack more versus Mairis while remaining under control. The one fight that stands out especially in the first few rounds is his bout with Michael Hunter. Usyk’s flaws while being overly aggressive in effort to entertain did come to the surface. In the early frames Hunter was able to land flush on Usyk repeatedly. That being said, Oleksandr did brutally stop Hunter, who was out on his feet the last few minutes. The Ukrainian gold medalist has flirted with testing the waters at heavyweight if successful this Saturday. Usyk would probably do well at heavy as long as he stuck to a sensible game plan by adding more movement. On paper the vast majority of boxing writers and fans feel the skills gap is too wide for Gassiev to overcome. The betting odds tell a different story sitting on the books as a virtual 50-50. Having watched Murat up close ringside two years ago it was easy to see why some many lean Usyk. Gassiev definitely impressed everyone that night scoring a scintillating 1st-round knockout over Jordan Shimmell on FS1. However, amazingly enough Gassiev’s face was pink in color from taking so many punches in a short amount of time. One can imagine how swollen and bloodied he will get facing an uber-talent in Usyk. Gassiev has to be willing to take tons of punishment in order to outlast and land noteworthy punches on Usyk. Murat did show some improvement in bouts with Denis Lebedev and Yunier Dorticos. Unfortunately for Murat his defense still had plenty of holes against lesser opposition which doesn’t bode well come Saturday. The opening rounds are very crucial for Gassiev as he rages forward putting him in range to get tagged. Murat must close the gap by forcing his head in the chest of Usyk. Working with one-hand free to the body and head during the clinch will be a must. If Murat can close the distance it could make Usyk uncomfortable, sparking emotion and most importantly takes away the Ukrainian’s reach and straight punching. A throwback ugly affair is just what the doctor ordered as Gassiev lands left hooks and upper cuts, along with a powerful overhand right. 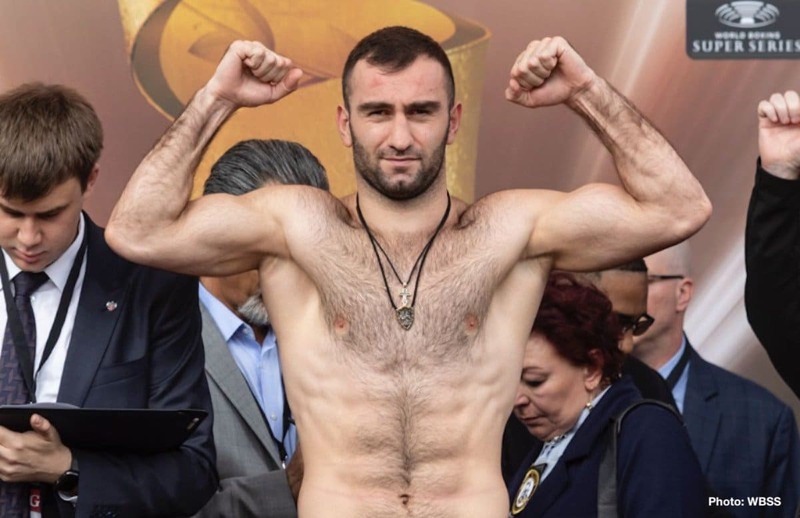 The problem for Gassiev is he generally has to be set in position to throw his most effective punches. Murat is flat-footed rendering him target practice if Usyk chooses to fight on the outside. It will likely take several rounds say 3-5, until Usyk is fully confident to throw combinations with real authority. 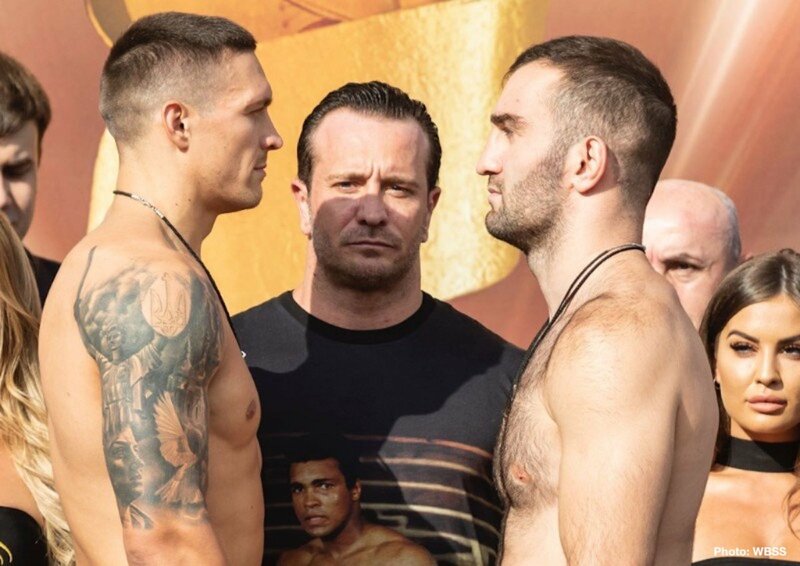 Once Oleksandr finds a groove it will be difficult for Gassiev to contain and corral Usyk to the ropes. The outcome narrows down to two keys one is Gassiev having top-flight power making him a threat for all 12-rounds. The other point is all up to what mentality Usyk brings to the ring. If Usyk wants to pile up points by playing it safe he will win clean. If Usyk’s intent is to put on a show and is open to exchanges, it’s a tossup and will favor Gassiev. This want-to-be-full-time boxing scribe sees the fight right around 9-3 or 8-4. The two-way action will be in play at least for 4-6 rounds, after that it will become one-sided swaying towards Usyk. Let us remember where this event is taking place, Russia which only helps Gassiev presumably. If we see it as an 8-4 fight and a few of those 8 rounds Usyk wins are even remotely competitive, we could be in for some controversy. My Official Prediction is Oleksandr Usyk by Majority Decision. Side Note: On Friday night GBP on ESPN has a card as does the ever reliable Showtime ShoBox: The New Generation. Also, all-action scraper Jaime Munguia returns to make a first defense of his 154-pound belt against Liam Smith on HBO Saturday night.